Why is this the right time to be using affiliate marketing? Are you using affiliate marketing? Generally speaking, we can split publishers into three groups. Where do you see yourself? Those who aren’t using affiliate marketing, because they fear scaring people away by coming across as pushy salespeople, because they think it’s too hard and a waste of time, or because they think people won’t be interested. 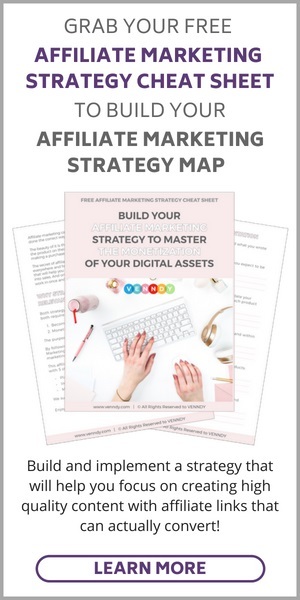 Those (usually fashion bloggers) who only join sub-affiliate networks and who are looking for the comfort of an aggregated tool for both connection with brands and presentation tools. Those (mainly in the blogging niche) who have mastered affiliate marketing by focusing on a few good recommendations and who make a nice and sometimes even impressive income, making an affiliate marketing career, by becoming leaders in their field. 3. There is more recognition of the e-commerce ecosystem and the importance of affiliate marketing for online sales. Not being a part of these changes is like leaving money on the table. When done correctly, affiliate marketing can be a great form of income and can even become a passive stream of earnings from your digital assets. We’re here to suggest that VENNDY’s tools can help you take the first leap into affiliate marketing, even if you belong to the first group mentioned above. If you focus your attention and learn to master affiliate marketing, you could even end up belonging to the third group. For those of you not familiar with affiliate marketing, you may want to start by reading our post about The Basics for Affiliate marketing in which we explain the terminology, how affiliate marketing works, and some statistics for understanding the ecosystem. You may also want to check out TheComplete Beginners’ Guide to Affiliate Marketing. 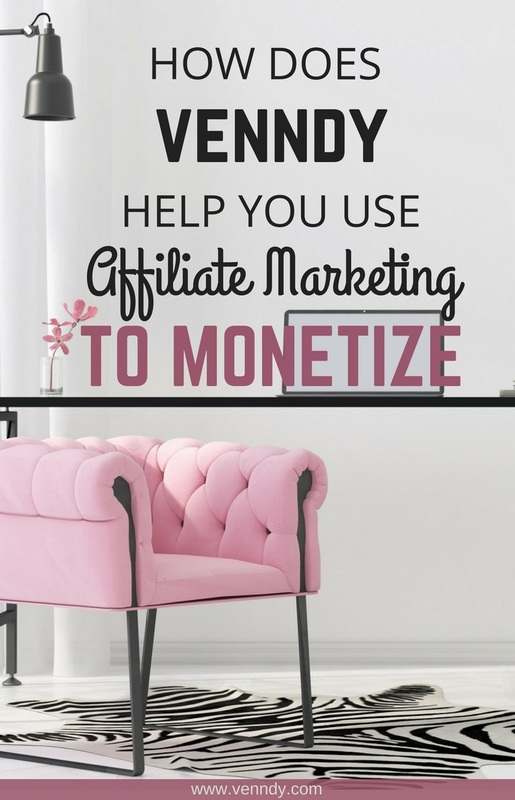 VENNDY offers you several advantages, making it easy for you to integrate affiliate marketing into the monetization strategy for your blog and your social media platforms – even, in some cases, without having a blog. 1. With VENNDY you can join a variety of affiliate networks. Be diverse – By joining various affiliate networks, you can broaden your range of programs and find more advertisers whose products you are happy to promote. Easily curate items– You can collect items from around the web, either affiliate - or non-affiliate-related, and present them all together in a carousel, in an Instagram shop display, or on a resources page. Use just one set of tools – You don’t need to learn different presentation tools for each affiliate network (which makes the whole affiliate marketing process far more complicated and time consuming). You only need to learn VENNDY’s tools once, and then you can use them with all affiliate links for a wide variety of products. Benefit from in-house managed affiliate programs – With more and more businesses starting their own independent, private affiliate programs, you can still include them in your presentation tools, even though they are not part of a network with ready-to-use tools. Be creative – You can create diversified content, mixing and matching travel, fashion, services, and combine them around one experience. 2. With VENNDY you can start with the products you love and only then look for the link. You really don’t need tons of products to promote. Some say choose just a few products and make sure you do it right. But we have found that what’s more important is that the products you choose to promote are within your niche! So, if you are a DIY blogger, for example, even if you have only a small blog, you are investing time and effort in sharing your creative projects. You probably started your blog not only as a creative outlet but also in the hope of making a side income. Well, your readers (on your blog, as well as on social media – Pinterest, YouTube, and Instagram) would be most appreciative if you added relevant links to showcase the fabrics, tools, and designs you used to create that soft stuffed animal. Most affiliate networks have Link Generator Bookmarklets. Once installed on your browser, you can easily generate the links for your approved programs. You can browse the web for the products you need, and when you see a product from one of your approved programs, simply pull out the link using the link generator of the relevant affiliate network. In just a few quick clicks, you have inserted the link into VENNDY’s catalog, and it’s up and ready to be used for promotion in a carousel on your website and other platforms. This way, once you have signed up to an affiliate network and been approved by a few programs, you don’t need to go into the network’s site to search for products. You can generate the affiliate link from any website that is associated with this program to create the link and easily insert it into VENNDY’s LinkCollector. 3. With VENNDY you can keep the visual presentation of your blog or website consistent. Your blog’s visuals are something you have probably thought a lot about and are constantly trying to improve. If you are using advertisements to monetize, your blog or website is likely already full with banners ads. Joining more than one affiliate program is a must, but the addition of more banners, each with their different design according to their affiliate network, only burdens the look. By using VENNDY’s Shop the Post widget you can keep your blog looking clean and consistent regardless of which affiliate network you are using for a specific product. The same carousel can then be easily shared on social media using VENNDY’s tools, thus increasing your reach and your chances of making a sale. 4. With VENNDY you can keep an easy-to-follow database of all your links. For your blog. One of the challenges of using more than one affiliate network is keeping track of your affiliate links. VENNDY not only helps you to collect using the LinkCollector, promote, and then share with your audience, but it also provides you with a database of all your affiliate products, organized according to their category, each with its related affiliate link. Remember, affiliate marketing is not a quick way of making money; think of it as a long-term investment. The more evergreen content you have, the better. But the longer you go on, the harder it is to follow up. That’s another advantage of using VENNDY; it helps you keep track of all your affiliate links and go back to add, change, or remove them as needed. For your audience. With VENNDY you create a one-stop shop for all your recommended products, all arranged in categories so that your followers can easily find them. 5. With VENNDY you build trust. Micro-influencers have become a driving force of e-commerce, as consumers rely on them more than on advertisements. Statistics have shown that the smaller an influencer’s number of followers, the higher the engagement and conversion rate. VENNDY provides bloggers and online influencers with an easy-to-build Shop the Story tool that can be integrated in their blogs and in social media (Instagram, Twitter, Facebook, YouTube, etc.). By sharing authentic and genuine advice based on real experience, rather than sponsored posts or direct brand relationships that have come to be considered as less reliable, you can build your position as an influencer. Whether you are a makeup artist or a travel blogger, at a certain point your followers will be thrilled to learn more about you and your preferences. If you direct your readers to your VENNDY profile, it will be quite clear to them what your main interests are. Why? Because the user’s profile is designed in a way that shows 8 categories. The 8 categories currently on VENNDY cover over 75% of affiliate programs (lifestyle and lifestyle related). As a travel blogger, for example, you will probably have shared more travel related items and yet also have some accessories, or beauty products that you recommend. But you and your readers will soon know whether you are a match. 6. With VENNDY you upgrade and update as you grow. The products you like and recommend to your audience can be broken down into categories, sub-categories, item Pages, and stories (items collections). All recommended products are clickable, shoppable links from the outset. You don’t first need to struggle to grow your following and only then add easy-to-shop items (just because that is the only way that some sub-affiliate networks will accept you). You also don’t need to compromise by using only one network because you want to keep your blog look consistent with carousels. You can use the LinkCollector to insert items into carousels from the very beginning, and even if you decide to postpone joining affiliate networks, you can set up the foundation for your collection of items and always go back to add or update an affiliate link at a later stage. 7. With VENNDY you can increase your traffic with relevant high-quality traffic. Even when you are just starting to put your content in VENNDY’s directory, you will soon be able to recognize what your main areas of interest are. 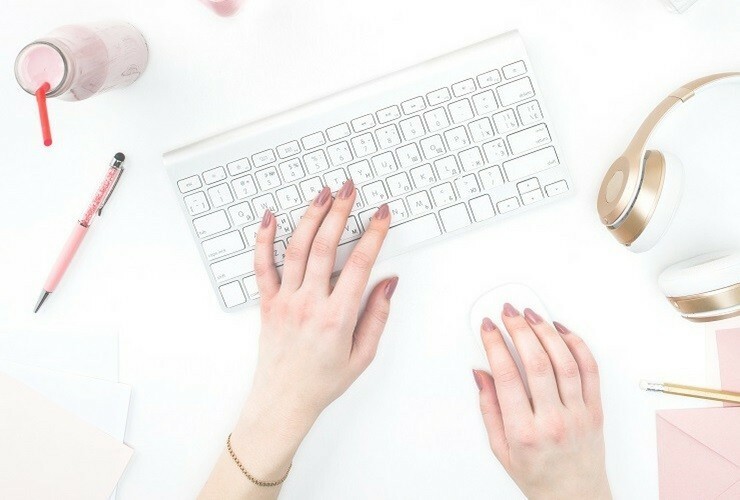 For example, if you are a lifestyle blogger who doesn’t necessarily focus on one specific niche, the items you upload will be divided into one or more of the 8 categories, organized according to the number of items in each, from the most to the least. This way you will not only reach new audiences but also encourage high-quality traffic. 8. With VENNDY you can promote easily in all channels. With VENNDY you only need to curate an item (product, place, hotel, or service) once, and then you can share and promote it on all your channels using VENNDY’s monetization tools. Social media is only getting bigger and more powerful. As an affiliate, you therefore need to actively use social media to promote not only your websites and blogs but also your affiliate partners. Promoting your content will help you both grow your traffic and understand what works best for your audience. Social media platforms such as Instagram, Pinterest, Facebook, Twitter, etc. 9. With VENNDY you can also promote independent affiliate programs. Many companies list their affiliate programs directly on their websites. A growing number of companies are not part of an affiliate network and instead run their own affiliate programs, and many publishers have reported that a significant proportion of their affiliate income is from such companies. With VENNDY, you can include these companies’ products in your shoppable carousels and widgets, which you can then share through social media. 10. With VENNDY you can blog without a website. Blogging without having a website is a growing field that is called micro-blogging. Whether you want to make money online as a stay-at-home mom or are looking to share your knowledge and expertise as a fashionista, foodie, or culture vulture, VENNDY can be a platform for collecting and sharing your recommended products. Same as you share your experiences on social media, you can do that on VENNDY, in a practical manner, linking to all your favorite and recommended places and products. To learn about your monetization options if you don't have a website, using affiliate marketing - read Affiliate Marketing – Best Practices: Are You Ready To Join? where we've gathered some information. Make sure also to check out our blog post about How To Make Affiliate Marketing Work and Succeed as an Affiliate in Any Niche. You may also want to sign up to our newsletter to follow up on more ideas and improvements. Sign up to one or more affiliate networks of your choice. Check out The Best Affiliate Networks and Programs For Beginners to help you get started. Upload your recommended products and places, add your affiliate links and share it on your favorite digital platforms. Here you can find more about all of VENNDY's tools.